Mike and anthony is going, I am not. 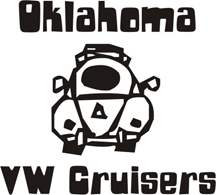 "VWs On Parade In Eureka Springs"
We are leaving Thursday morning from Pops about 7:00 A.M. If anyone is interested in cruising with us let me know. We will be taking Plum Crazy to Eureka Springs, Snot Rod is not ready for a trip yet. Headed out sometime Thursday morning, see you all there!